Everyone knows the classic American horror titles: Night of the Living Dead, The Texas Chain Saw Massacre and A Nightmare on Elm Street, to name but a few. But we want to tell you a different story a story of the unsung heroes of American terror... 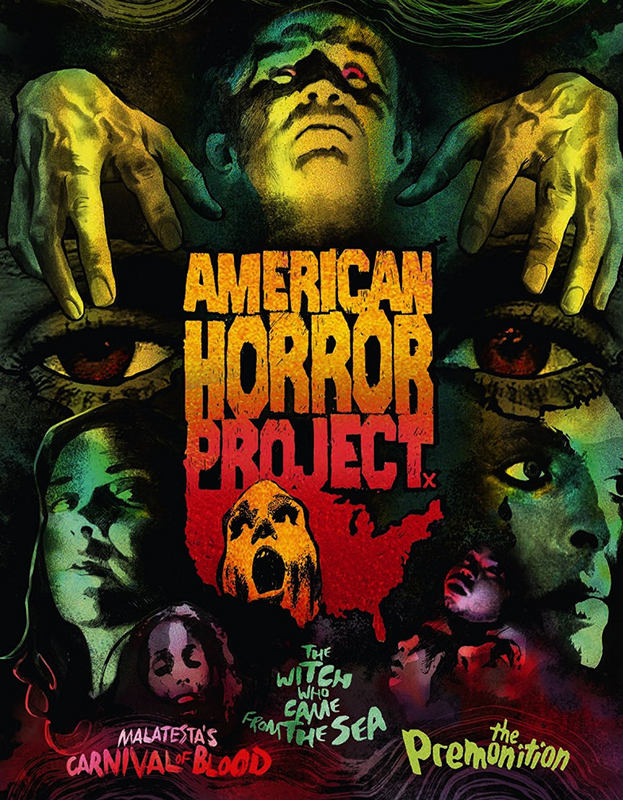 Whether it s a film that has languished in obscurity, or a movie that s at risk of being lost due to lack of source materials, American Horror Project is here to ensure that these unique slices of the American Nightmare are brought back into the public consciousness and preserved for all to enjoy. Volume I of this series presents three tales of violence and madness from the 1970s. Malatesta s Carnival of Blood (Christopher Speeth, 1973) sees a family arrive at a creepy, dilapidated fairground in search of their missing daughter, only to find themselves at the mercy of cannibalistic ghouls lurking beneath the park. Meanwhile, The Witch Who Came from the Sea (Matt Cimber, 1976), stars Mollie Perkins (The Diary of Anne Frank) as a young woman whose bizarre and violent fantasies start to bleed into reality literally. Lastly, every parent s worst nightmare comes true in The Premonition (Robert Allen Schnitzer, 1976), a tale of psychic terror in which five-year-old Janie is snatched away by a strange woman claiming to be her long-lost mother.